I was just looking in on the ol' blog stats this afternoon and noticed that the post I wrote about Espen's Very Hungry Caterpillar themed first birthday party has just reached 20,000 page views! That is almost three times as many people as there are in the town I grew up in! I'm sure you can imagine that this is a pretty big milestone for an itsy-bitsy blog like mine. 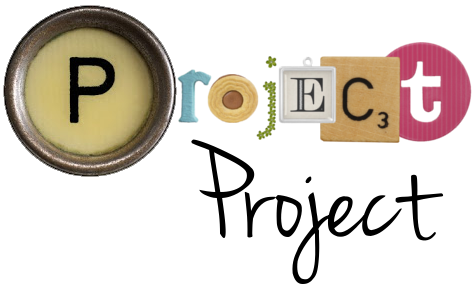 Project Project also quietly celebrated its sixth birthday last month (see my first ever post from way back when right here! ), so I am feeling in the mood for a little celebration. How about a party? How about a giveaway? How about a party giveaway? Here's what I'm thinking: I love planning parties, and so I would love (love!) to help plan one for one of you readers. Tell me in the comment section what type of a party you'd like to throw, and I will help you put it all together. Please remember that while I have primarily blogged about my children's parties, I'd be happy (maybe even a little giddy) to help plan one for grown-ups too. If you have Pinterest, I would work on a collaborative Pinboard along with you to gather ideas and start getting a feel for where we are headed with this shindig. If you don't have Pinterest, I will correspond with you via email and bombard you with links and ideas that way instead. A great banner and some cupcake or sandwich flags (or similar) look great at a party, but can be stressful to put together when you are the busy host(ess). I will do those for you and mail them to you! Everyone loves party food, and I would be delighted to help you plan your party menu. Yum! And finally, if you happen to be local (say Utah valley or Salt Lake valley), I'd be happy to help get your party all set up and ready to go. So, pretty please may I help you? From a special family night with your nearest and dearest to a fancy schmancy night with everyone you know, we can do it, friend*! For more of my party posts, see here. * Just don't ask me to plan your wedding, because the pressure might kill me. And there might be caterpillars and trains at your wedding. Hmmm... Most of the time when I throw a party I don't really bother with decorations, but they can be so fun! Is this a drawing where you pick one winner? Should I just ask you for party advice next time I need it? I tried throwing a steampunk party one year, and it was pretty fun, but I could have done a lot more with the decorations/food I think. My next party would be a fall harvest theme or for Jacobs second birthday! I love this idea! You do throw some cute parties, and this is definitely am area I could use a lot I'd guidance in. My husband is (fingers crossed) finishing grad school in December and I feel like I should throw him a graduation party, but 1) I've never thrown a graduation party before, and 2) Do adults have graduation parties or is that just for kids?